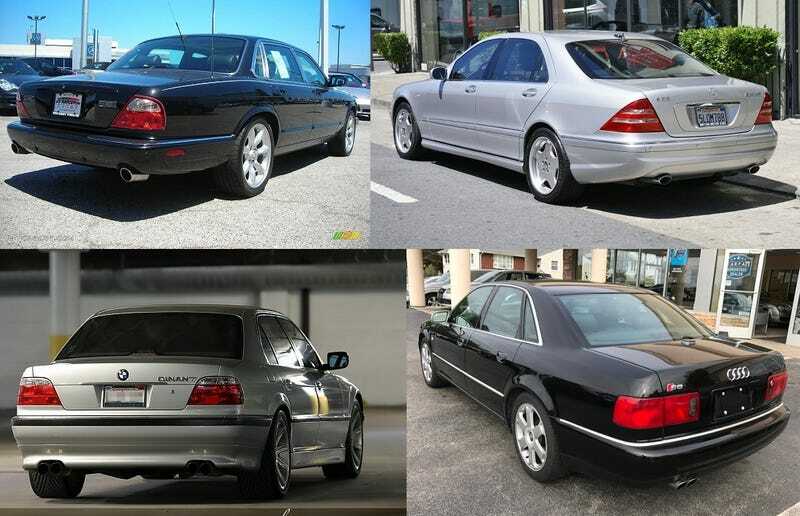 2001 was an awesome time to be in the market for a full-size European V8 performance-tuned luxobarge. Which of these four from that year would tempt you the most? Admittedly, the Jag, Merc, and Audi are all factory offerings, and the BMW is an aftermarket upgrade...but competitive all the same. I do wish BMW had built an E38 M7, but Dinan did an excellent job picking up the slack! Ferrari 550 Maranello: first model year?